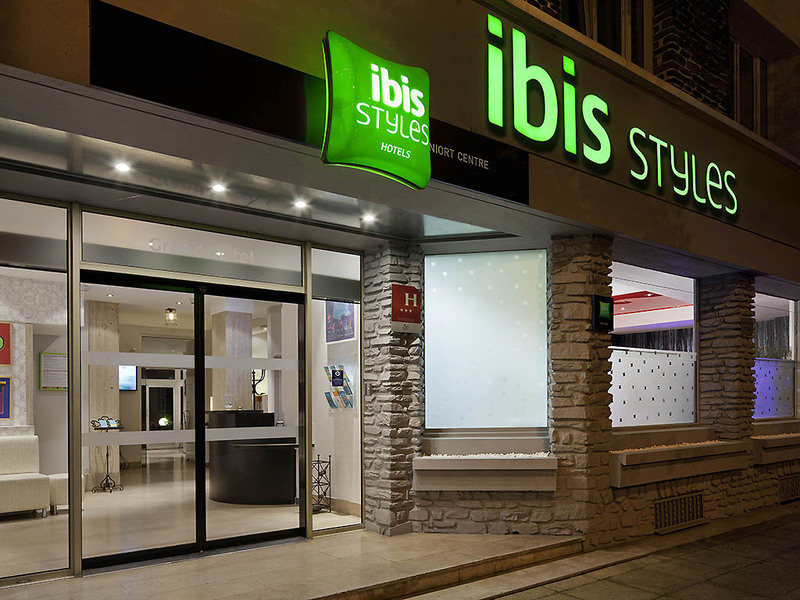 Breakfast and unlimited Wi-Fi are included in all prices for the ibis Styles Niort Centre Grand Hotel. Located in the center of the town of Niort, near to the place de la Brèche. The train station is 766 yards (700 m) away, 5 minutes' drive from the tollroad, 50 minutes from La Rochelle. The hotel has 39 air-conditioned rooms, a bar, meeting space for approximately 25 people. Indoor hotel car park with limited paying spaces. Covered public car park near the hotel. City-center hotel, 5 minutes from the train station. Most of our rooms overlook our private garden. Family Rooms with connecting door. 2 minutes from the best restaurants in Niort located in the most beautiful square in the city. All our rooms have been renovated. An entrance hall leading to the bathroom and bedroom separates you from the corridor. All beds are a minimum 63 x 79 in. (160 x 200 cm). Flat-screen TVs, air conditioning, direct line and Wi-Fi.